My favorite economist who tracks the national economy and the US office market is Peter Linneman. He produced the graph below which shows job loss and gain during the recession. This graph demonstrates exactly why I follow the jobs market so closely and why most office markets in the US have been slow to recover. Surprisingly, there are just a few markets that have done exceedingly well. 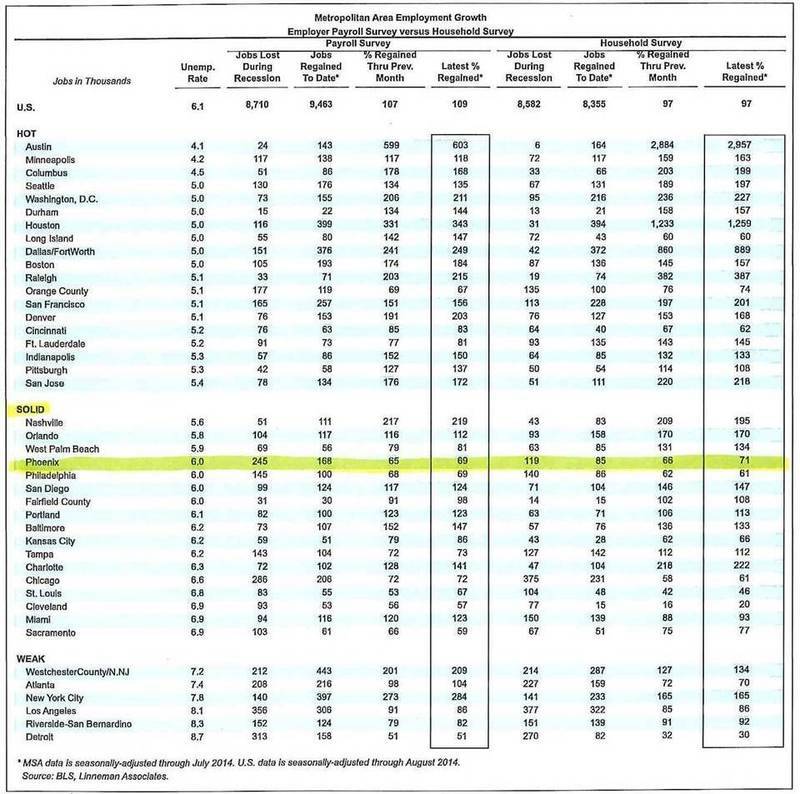 Austin is at over 600% of prerecession jobs and Houston is at 308%. Nice! Phoenix sits at only 68% of the jobs lost, creating an office market vacancy still over 20% today. Take a look at your market and where it stacks up. There are a couple that are still just above 50%, with the rest still struggling to just get back to where they were six years ago.